Someone tell me that Steve Jobs really create the iPad… and I say that’s not true… the “pad” was invented by the Star Trek serie (the original). 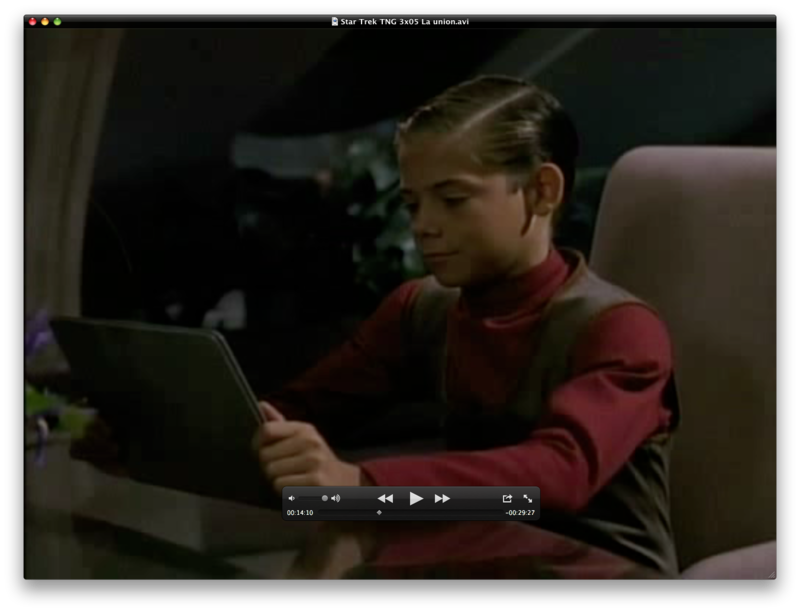 But I find a real example in ST TNG (Star Trek The New Generation). A serie about the 1992 or 1995. Jobs (Apple) doesn’t create, only do a nice copy and, as people who know lie others telling that their invented it.